Hello and thank you for visiting our page! Our names are Billy & Jayne Ward. We are committed to helping you achieve your health & fitness goals & supporting you along this journey. We particularly enjoy doing this in the fresh air, where we know there are so many fantastic health benefits, working predominantly in the south of Sheffield, ‘The Outdoor City’. We enjoy the challenge of working with people who may have tried other health & fitness regimes before and failed to succeed. We also recognise that some people want to be outdoors more but are also worried about aches, pains and their health, causing them to limit their time spent outdoors and being active. What helps us to stand out from other health & fitness businesses is that we use our caring nature to look at the bigger picture & you as an individual person, and will help you to identify other barriers that maybe impacting on you attaining the results you want to achieve. We will help you stay focused & committed to achieving your targets with setting you goals and keeping you motivated and accountable. Between us as a team we have the skills and experience of helping you along your journey, whether requiring specific rehabilitation for pain to get you moving more outdoors, all the way up to attaining higher levels of health & fitness. Hi my name is Billy. With over 14 years working in the health & fitness industry I have worked with a variety of people from all walks of life. I am committed to helping my clients stay on target by setting them individual goals each week, giving them the motivation & encouragement needed to help them become the best version of themselves possible, live life to its fullest and most importantly be happy! I find that this works best on a 1:1 basis or in small groups, and therefore if you work with me you will get the individualised attention that you need. I enjoy building and maintaining a really good relationship with my clients, as I find that this helps to keep my clients well motivated and accountable to reach their goals. It is also really important to me that my clients get the results that they want. Having grown up in the countryside I love to be active outdoors, and I look forward to sharing the ‘outdoor bug’ with you soon! Hi my name is Jayne. I am highly motivated and will always go the extra mile to make sure that my clients get the best care possible so that they can managing their aches & pains, enjoy moving again and have the best quality of life possible. 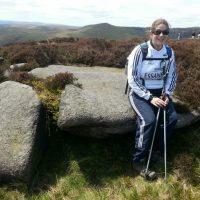 My passion is to work with people with ongoing muscle and joint pain that have lost confidence and control of managing their aches and pains to help them get back to normal life and fitness activities outdoors, particularly walking. Over time working with these clients I became frustrated trying to treat these problems in a clinic room, when the challenges were outdoors! It became clear to me that to really help people get back to the activities that they want to do outdoors that sometimes there becomes an appropriate time to work with these clients in an outdoor environment and help them to feel more confident and safe here. In my experience there are time constraints or this level of support is often over-looked by standard physiotherapy services, yet this I believe is often the missing link to help people achieve their full potential and it is this part of the journey that I most passionately enjoy helping my clients. 2015 I won a national Chartered Society of Physiotherapy Service Excellence Award for promoting activity and healthy lifestyles. I thrive when the circumstances are more challenging with clients that need support managing persistent muscle and joint pain; the more complicated the more I am interested in rising to the challenge! My previous experience competing in sport at a high level helps me to understand the pressures of challenging ourselves out of our comfort zones, and my professional knowledge and experiences helps me to apply this to my clinical practice. Once I’ve got my clients more confident with managing their pain and being more active outdoors I also enjoy challenging their beliefs about what their full capabilities are, and strive to motivate and inspire people to be even more active than they thought that they could be! 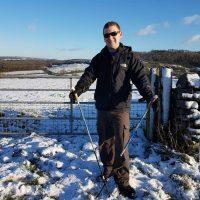 Whether you have a pain problem following recent surgery, a change of circumstances to their health, or you have persistent aches and pains and have lost confidence to get out and about I look forward to working with you along the next stage of your journey to reach your full potential being active outdoors.